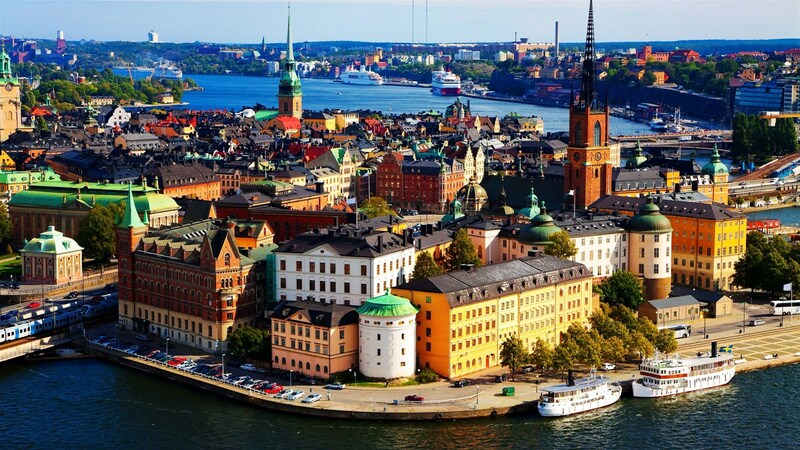 World Water Week is organised by the Stockholm International Water Institute (SIWI) and takes place in Stockholm, Sweden. It has been the annual focal point for the globe’s water issues since 1991. It is a platform for over 200 collaborating organisations to convene events about water and development issues. Individuals from around the globe also present their findings at the scientific workshops. Water, energy and land systems are inter-connected and have become increasingly complex and dependent on one another. Understanding the drivers behind these interlinkages is important when developing and implementing infrastructure so it improves benefits to people and nature while securing sustainable economic and industrial development. At the same time, the right policies, incentives and co-operation need to be in place, which is further complicated when the development is in shared river basins. This seminar explored the drivers for energy investments and policies in water infrastructure development and management. Key areas include: How does investment in energy infrastructure affect other parts of the nexus? In what way can energy investments and ways of operating energy infrastructure provide multiple benefits across the nexus? How can benefits be shared? How can water savings in energy be used beneficially in water supply and food production? How can different actors cooperate to that end? Learning and critical thinking from a series of recent nexus dialogue workshops in Africa, Latin America and Asia, as well as a set of assessments of the water-food-energy-ecosystems in transboundary river basins will provide a basis for discussion, along with perspectives from the energy, water and food sectors. >> click here for more information about this World Water Week programme. How does investment in (energy) infrastructure affect different parts of the nexus? In what way can energy investments and ways of operating infrastructure provide multiple benefits across the nexus? How can benefits be shared? How can water savings in energy be used beneficially in water supply and food production? How can different actors cooperate to that end? 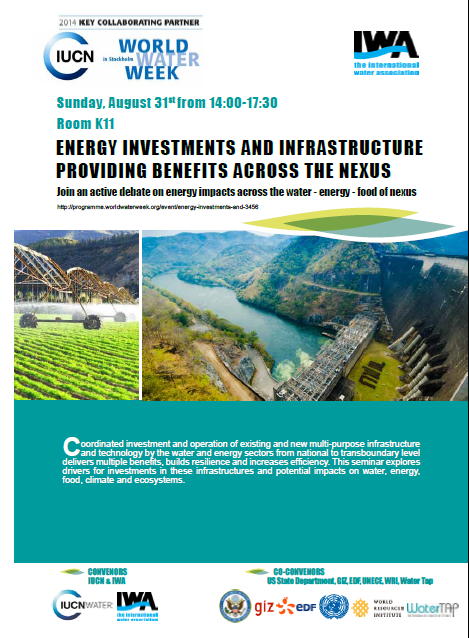 17:00 Closing panel discussion –Does investment in energy infrastructure bring benefits for the food/agricultural/land sectors and improve water management? The panel will discuss issues raised through the session from individual presentations and from the audience.